Lakme Fashion Week August 2018 – Launch of Kareena Kapoor’s First signature line! 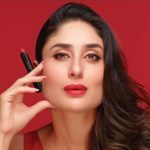 Leave a Comment on Lakme Fashion Week August 2018 – Launch of Kareena Kapoor’s First signature line! Founded by Akif back in 2012, Sizzling Magazine is a lifestyle website focused on creating happiness through posts related to fashion, Design and latest trends.